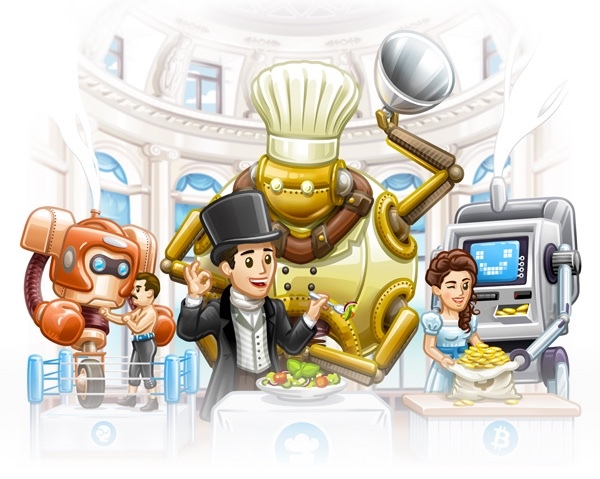 Telegram bot is like a robot which programmed to execute tasks automatically for you, such as answering members' questions or sending announcements at specified time. Can I create my own bot? and how to? Yes, Telegram users can create their own Telegram bots by simply talking to the official @BotFather. 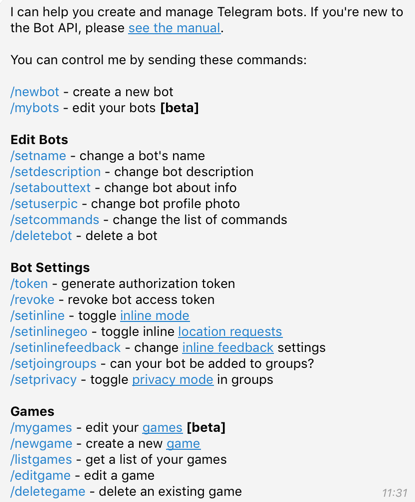 All the actions to create a bot you can make as a mobile device through an application or desktop app. It does not matter. Both methods have the same capabilities. Connect to the @BotFather by the link: https://telegram.me/BotFather. When the chat-window with the bot will be open in the Telegram, press the Start button. Click /newbot and choose a name for the bot. P.S. Please enter your bot name. After that you must choose a username for your bot. Just follow the instructions on the screen. Once the username is chosen, your bot will be automatically created and ready to use. You will then see a message like following. Please note: The API token is the key for your bot to communicate with the Telegram system. PLEASE KEEP IT SAFE! Do not send your bot token over email or in any other instant messenger apps then Telegram. What if my bot token exposed? Don't panic. It's your bot, and you can revoke its bot token at anytime. Just talk to @BotFather, and enter /revoke command. A new token will be issued for your bot. Can I change the name of our bot? and its photo? Yes, you can edit the name of your bot or upload a new photo for your bot. This seems too complicated to me, can you help? Yes. TeleMe provide dedicated customer support service for Telegram groups on the Enterprise plan. Just talk to @telemedotio and let us sort out these things for you.